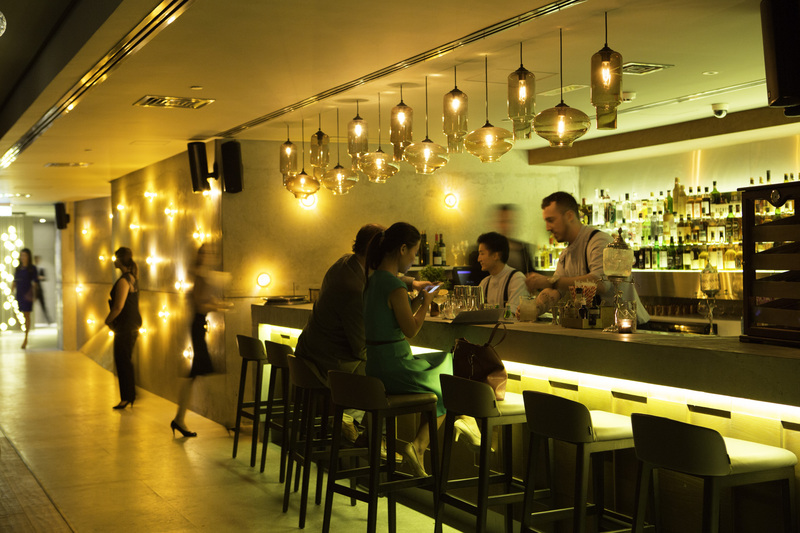 It’s business as usual for Marina Social Dubai this Ramadan season with their most loved offerings including the Monday Social Club, Saturday Social Roast, and Ladies Night at the Social Room. A Special Ramadan Menu will also be served daily for diners to enjoy. Please find more information below. The offer: The three-course menu features a selection of mouthwatering dishes perfectly orchestrated to complement one dish after the other. The dinner starts off with a choice between their famed Goat Cheese Churros or their signature Burrata. For the mains, you can opt for Cod Loin, ‘Leek & Potato’; Steamed Sea Bass, Smoked Pea Emulsion, Wet Garlic & Mussels; or the BBQ Veal Short Rib, Glazed Carrots, Pine Nuts, Onion Confit. Top off the delicious meal with some dessert with their sinful White Asparagus Cheesecake with Raspberry & Thyme Jam or Rice Pudding Ice Cream, Vanilla Peaches, and Pistachio Biscotti. The offer: Guests will get unlimited starters and desserts and can choose one main course, Shepherd’s Pie, Pulled Lamb Sourdough Pizza with Basil Pesto and more paired with house beverage package. When: Every Monday from 7 pm to 10 pm. The Offer: Marina Social elevates the ultimate British dining experience with a new Social Roast – A weekly nostalgic journey bringing you a piece of home. If you’ve been reminiscing those long family lunches spent sharing good food over laughs and fun vibes, then Marina Social will be delivering just that. Marina Social’s Chef Patron, Tristin Farmer has a special menu prepared for this new lunch. “We wanted to bring a piece of home for all those who miss England with a fun Saturday Lunch that brings loved ones together over delicious shareable dishes”. The kids menu is free so the entire family can come enjoy the Social Roast! The Offer: Dubai’s favorite bar spot in the picturesque Dubai Marina will be welcoming guests from 3 pmonwards daily with special discounted rates at the Social Room. Ladies Night every Wednesdays will continue with a toned-down music ambiance throughout the month.